This comes down to 11.20 cent per brick. 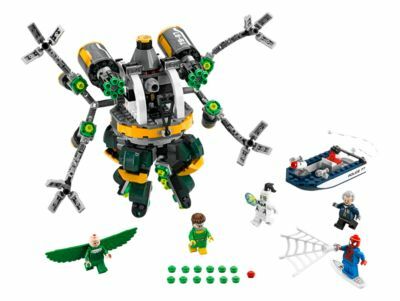 The Spider-Man: Doc Ock's Tentacle Trap (76059) Lego set is no longer directly available from the sites below. However, 3rd party partners of these sites might still have the set available. Alternate description Stage a surfing Spider-Man rescue White Tiger from Doc Ock's Octo-Bot, featuring dual 6-shooting rapid shooters and moving detachable tentacles. Includes 5 minifigures.